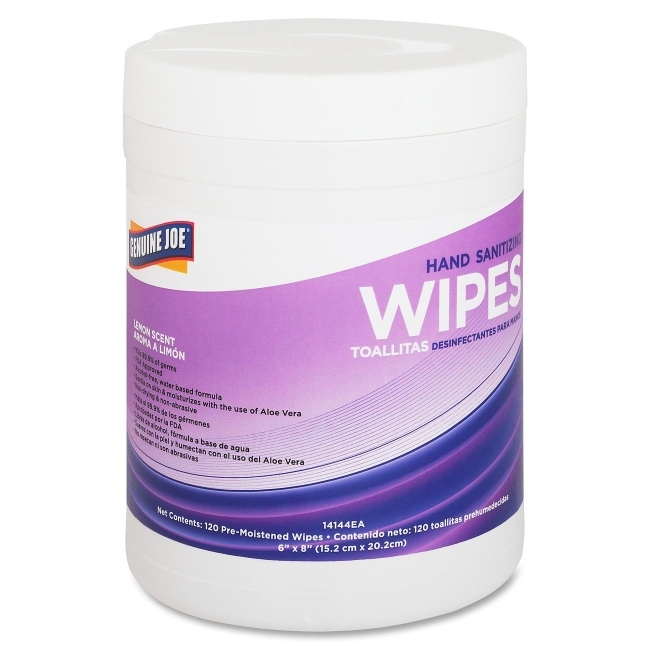 Full Size: 6" x 8"
Hand-sanitizing wipes quickly dissolve and kill 99.9 percent of germs and bacteria on hands. FDA-approved, alcohol-free, water-based formula is gentle on skin and moisturizes with aloe vera. Lemon-scented wipes are nondrying and nonabrasive. Apply topically to the skin to help prevent cross-contamination. Wipes come in a plastic container with a pull-through lid for easy dispensing. Each wipe measures 6" x 8".